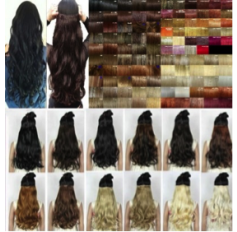 Hugely popular one piece hair extensions clip under your hair mid way down the back of your head and hey presto – all the silky length and extra volume you could wish for in an instant. Each piece is 24 inch (~61cm) long and approx 12" inch (30cm) wide with 5 clips to attach to your head. For that amazing quick fix ..all you need to do is just clip and go! 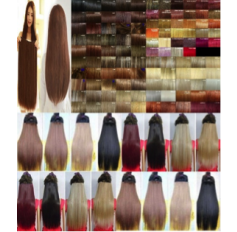 If you are not sure which colour to choose, we have our chart colour page and our Free colour match service to help you look awesome!